High magic + crystallization: right weapon. Sold by Big Hat Logan in The Duke's Archives after he has been freed. 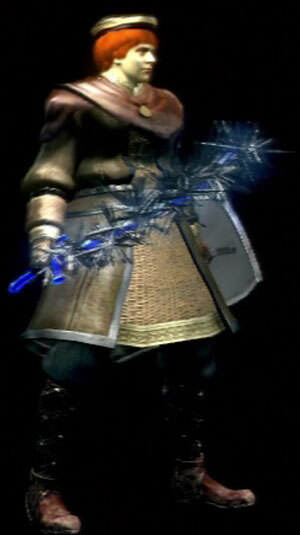 The "crystallization" effect mentioned in the In-Game Description is only visual.